Yolk Marketing was asked to create a custom branded Resume or CV template for use in business tender and proposal documents. The template was created in Microsoft PowerPoint and is really easy to use. The client regularly submits and business tenders and proposals that require the attachment of staff resumes and professional profiles. 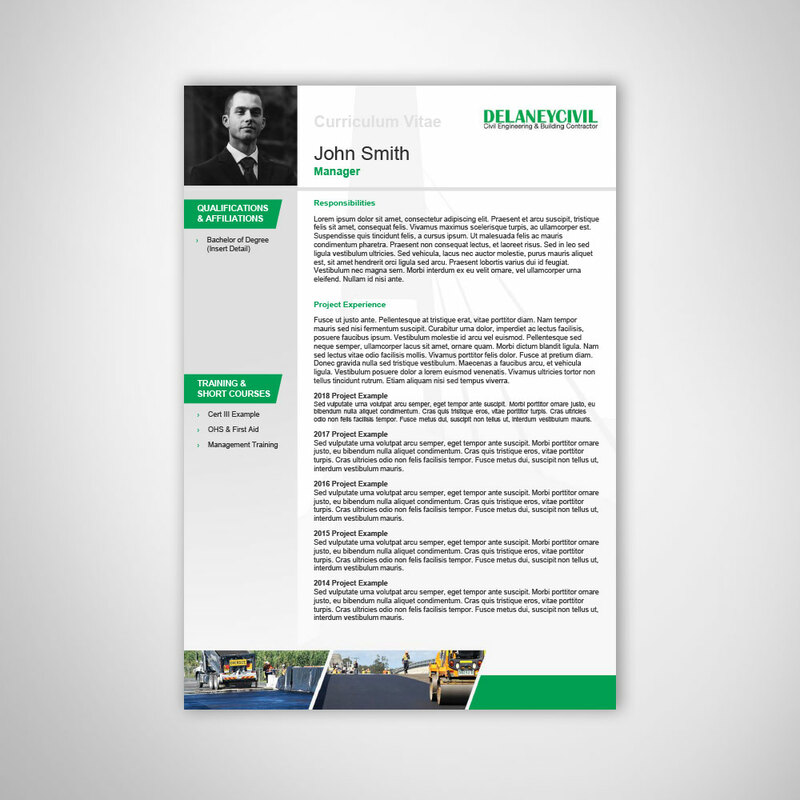 They needed a custom branded Resume template that was easy to use. A template was created in Microsoft PowerPoint with one click placeholder content insert prompts and all styling built-in.